The physical and social fabric of the United States is sustained by a system of systems; a complex and dynamic network of interlocking and interdependent infrastructures (“critical national infrastructures”) whose harmonious functioning enables the myriad actions, transactions, and information flow that undergird the orderly conduct of civil society in this country. The vulnerability of these infrastructures to threats — deliberate, accidental, and acts of nature — is the focus of greatly heightened concern in the current era, a process accelerated by the events of 9/11 and recent hurricanes, including Katrina and Rita. 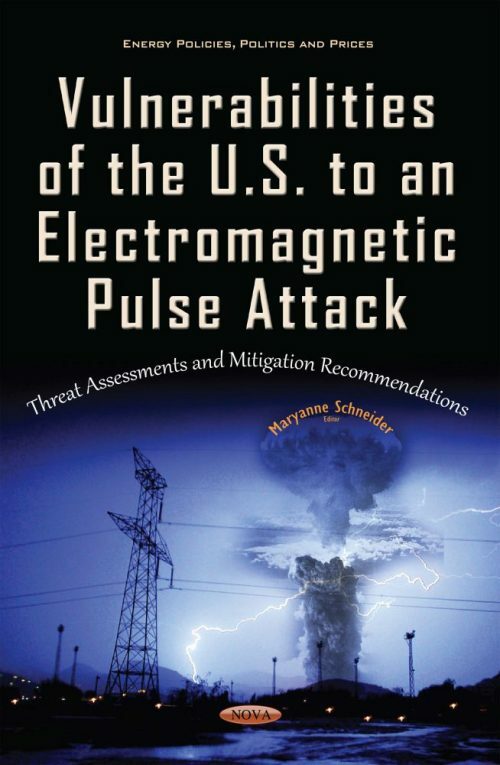 This book presents the results of the Commission’s assessment of the effects of a high altitude electromagnetic pulse (EMP) attack on our critical national infrastructures and provides recommendations for their mitigation. Moreover, as of July 2015, the Department of Homeland Security (DHS) reported taking several actions that could help address electromagnetic threats to the electric grid. This book also addresses the extent to which DHS has: taken action to address recommendations from the 2008 EMP Commission Report and coordinated with other principal federal agencies, such as DOE and industry stakeholders to mitigate risks to the electric grid from electromagnetic threats.